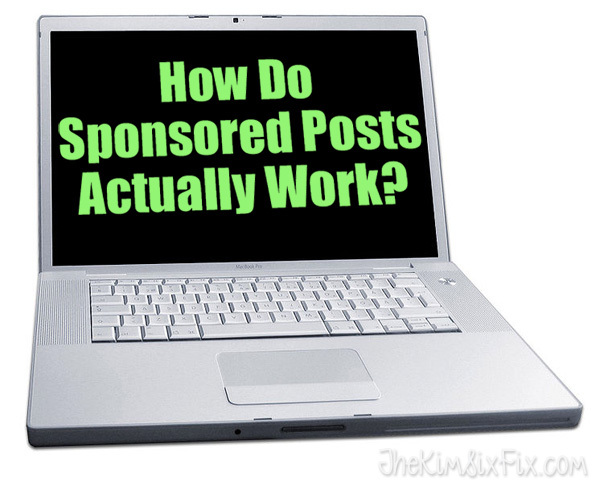 What are sponsored posts and how do they work? Home » sponsorships » What are sponsored posts and how do they work? Before I even start this post I want to premise it by saying that 100% of this post is *MY* real life experience. Not every blogger feels the same way about sponsored posts and their experiences may be very different from mine. But since this is MY blog, I am of course going to share MY thoughts and opinions.. the good, the bad and the ugly. This post is not passing judgement of any other specific blogger and/or their sponsored posts.. nor is it a ‘call to action’ for other bloggers to change the way they write their sponsored content. Every blogger must make their own decisions when it comes to working with brands. I feel very strongly about the way I handle sponsored posts on my blog and this post solely reflects those feelings towards my own content. This post about a stacked pot planter was my first EVER sponsored post. 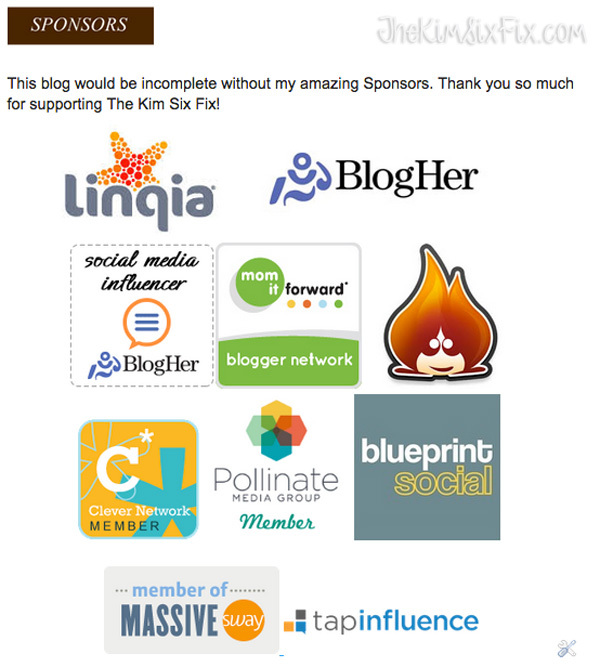 As a blog reader, I admit, I never really liked sponsored content. Blogs I had read for a long time, were suddenly filled with posts that began with “this post brought to you by..” or EVEN WORSE bloggers I trusted would post projects full of stuff they clearly received for free, but they hid their disclosures somewhere out of the way, so when I had finally read to the end I realized it was just a pitch for some product all along. I felt like I was being TRICKED. And I hated it. There is something that is off-putting about reading a post that could also be considered “an advertisement” especially if you go into it NOT KNOWING it is sponsored. That is a bait and switch. And so for the longest time I vowed I would NEVER do them. Nope. Not me. I’m was holding myself to a ‘higher standard’. I totally understood that those bloggers needed to make a living. Hell, I want to make as much money as I possibly can from my blog.. I really do. I am not going to pretend that I would keep blogging for free.. at least not with the same frequency and quality that I do now. (If that upsets you, you dont' really want me to keep it real!) Blogging has become my JOB, and I put as much work into it as I put into any other full time job I’ve ever had. I actually give up a lot for my blog, and I deserve to make some money if I can. That being said, I really don't want my blog to become a giant collection of advertisements, because.. well, that is annoying. If it annoys me when I see it on other blogs, then I know it must annoy you too (since we really ‘get each other’ don’t we?) It isn't only a small annoyance either.. I've actually seen other bloggers lose readers over it. But surprisingly, my answer to that would be: No. I actually don’t feel bad for my sponsored content at all. But there area actually a lot of bloggers who also hold themselves to a higher standard when it comes to branded content and a lot of times some of their best posts can be paid content. 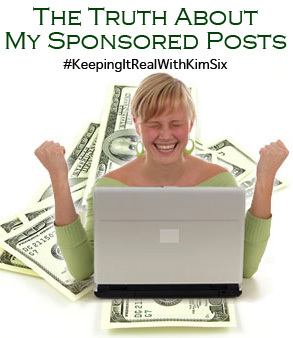 One of my highest trafficked (and most complimented) posts of all time is a sponsored. And to think I never would have even done it if it weren’t for Dremel giving me the opportunity! In this case a sponsored post actually made my blog better. When someone is doing sponsored content THE RIGHT WAY, you don’t even notice that it's sponsored content, or if you do notice, you don’t care. And this is how I can sleep at night: I ALWAYS STRIVE TO MAKE MY SPONSORED POST SOME OF MY BEST CONTENT ON THE BLOG. And I don’t do this because I want to make my sponsors happy.. I do this because I want to make YOU HAPPY. If I am going to be paid to write a post and I am going to ask you to sit through it, I am going to make DAMN sure that it is worth reading. I refuse to write a post that is nothing but a brand pitch. MY BLOG IS NOT A JUST BILLBOARD.. it is a representation of me. I also can sleep at night because I am ALWAYS up front with you. I ALWAYS put a disclosure into my posts. ALWAYS. I am giving you the choice to read it or not. I don’t ever want any reader to think they were just scammed into reading my sponsored content. I totally get it, as a recovering sponsored post hater I understand if you don’t want to read anything where I am required to overuse the ® mark over and over! I get it. It goes without saying that I refuse to blog about something that I wouldn’t actually use and like. You won’t find posts about Tampons, Personal Lubricant, Incontinence Drugs and Hair Replacement (Yes these are all actual things I have been asked to blog about in exchange for money.) But since I already am writing unsponsored posts filled with slow cooker recipes, when given the chance to write about a new type of crock pot that I actually think is really cool, OF COURSE I will jump at the chance. And let’s be real here (since that is the point of this series): Sponsored posts can be REALLY lucrative compared to display ad revenue, especially in blogs with less than six-figure monthly page views. You can earn a lot more money if you integrate your advertising INTO your content vs. just slapping an ad on your side bar. When I first started writing sponsored posts I could make more money on a single post, than I could in a month with a single sidebar ad. Let that sink in. That is a lot of money relatively. 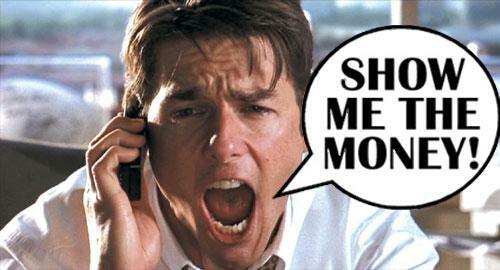 Just how much do I actually earn with sponsored content? That is a little complicated to answer, since it really does depend on a LOT of things. How many posts I do in a month, which companies I am writing for, how much social media promotion they want, how much traffic my blog is getting. But (at least in the beginning when my blog traffic was lower than it is now) I would make anywhere from $50-250 per post. Compared to my display ad revenue (which was a couple hundred a month TOTAL for all my ads) the sponsored post opportunities felt AMAZING! I try to limit the number of sponsored posts I take each month, but sometimes deadlines just don’t work out that way. When you are being paid for your content, you do give up a little bit of control, that is all par for the course. But the longer I blog the more I am learning about sponsored content and I feel like I am getting a better handle of on figuring out what is the best fit for me and for you, my readers. But there is a learning curve. In my case 90% of my sponsored opportunities come from large advertising networks (like BlogHer, Tap Influence and Massive Sway.) I actually have a list of my ad networks on the bottom right hand corner of my desktop blog layout (if you are on mobile you will have to switch over to ‘desktop view’ to see them.) These networks work with lots of large (and sometimes small) brands and typically recruit multiple bloggers to work on a ‘campaign’ for any given product all at the same time. When a blogger joins the big networks they will send out (or post on their website) a ‘pitch’ for bloggers with specific requirements. Some networks require a certain number of page views, some require a certain number of social media followers, some require a certain niche or for the blogger to have a certain family make-up or ethnicity, and some are location dependent. If a blogger thinks they meet the requirements and are interested in working with the brand being pitched (which can be ANYTHING.. food brands, cosmetics brands, events, stores, clothing, tools, electronics, cars.. you name it) they can apply for the opportunity. Typically the pitch includes the payment amount.. and so a blogger can decide if it is worth their while to do it (in some networks this is negotiable, in some it is standard for all bloggers and in some it is weighted so bigger bloggers make more money). Some brands ask the blogger to tell them how they will ‘sell’ their product in their post, others have them fill out a survey, and others just pick the bloggers they like based on their statistics and analytics. To put it in perspective, on average I get ‘pitched’ at least 25 sponsored posts a week between all the networks I am in. I would say more than half of them aren’t in my niche (I don’t blog about fashion or cosmetics for example), many of them don’t pay me what I think my time is worth, often I don’t meet the requirements (wrong ethnicity or age or location) and and some of them are just so ridiculous (yes.. I’m looking at your Tampons and Lube!) I would rather go broke than write about them. If you are accepted into a campaign they will usually send you a list of requirements for the post, along with the deadlines and anything else you need to know. Sponsored post requirements typically include: a posting deadline or date, a certain amount of social media “touts” using certain hashtags or tags, ‘key messages’ they want you to get across (“we want you to tell your readers about how you can integrate this product into your life to make life easier and also let them know where they can buy it.”) Sometimes brands will have photo requirements (‘show brand in first image” or “take a photo of where you can find this product in the store”) and may even provide stock photos to include. Some networks have analytics requirements (so they can track how well your post does) and some even have “click” requirements where you are only paid if a certain number of people click on a certain link. Also, per FTC requirements, most brands insist on a disclosure somewhere in the post. If a brand is okay with a blogger hiding their disclosure, they aren’t on the up and up in my opinion. I refuse to work with any company that tells me I shouldn’t disclose our relationship or requires me to include follow links in my post. “Follow Links" are used by Google to add credibility to websites. Most brands and companies want incoming links to their pages so that their website will rank higher in Google’s search results, but they should be getting those links organically (by sites linking to their page because they WANT TO not because they are PAID TO). When a blogger is paid to link to a another site they should use a “No Follow Link” which is ignored by Google and doesn’t impact a site’s page rank. 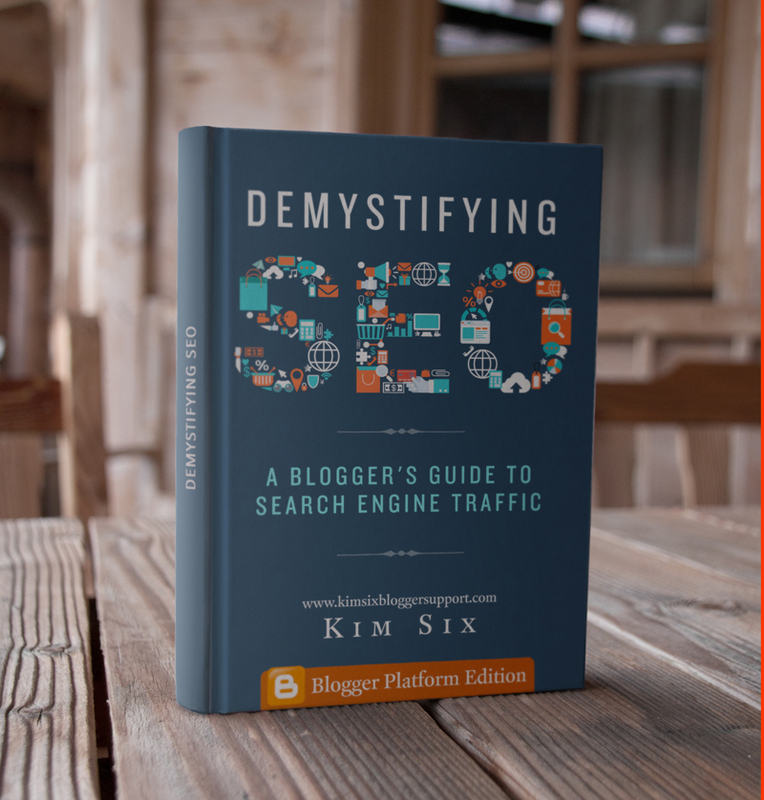 If a blogger is using follow links in paid content, that is considered a link building scheme which is grounds for getting their blog shut down. 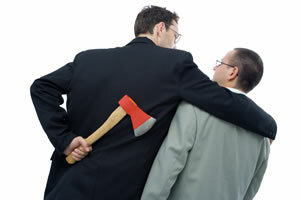 Often brands will ask smaller/newer bloggers who don’t know better to insert follow links into their content. That is so slimy!! If a company asks a blogger for a follow link in exchange for money (or even in exchange for free product) they probably aren’t reputable enough to work with in the first place. Typically bloggers are given pretty free reign with what they can actually blog about. That is the beauty of sponsored content from an ad network. Is usually very easy to customize it to fit your blog and to make it useful for your readers. There is NO REASON for a sponsored post to be pointless or 'sales-y'. Besides sponsored posts though large networks, there are other ways to work with brands. Some bloggers work with them directly. I don’t typically do that very often, since I have plenty of opportunities in the structured setting of an ad network. Finally, there is the ‘product review’ style post where a blogger is NOT paid but is given free product in exchange for a review. Some bloggers don’t consider those sponsored posts and thus don’t follow disclosure and no-follow link requirements. I beg to differ. If you are getting something for free from a company, it is sponsored content. I only think it is right to tell your readers that you got it for free. I have done a few product reviews. My Airstone fireplace makeover is an example. I actually asked Airstone for free product in exchange for a blog review since I really wanted to work with it. I didn’t get paid for that post, but i did disclose my relationship with Airstone. I don’t like to do product reviews unless they are SUPER products because I don’t think it really benefits anyone. I get a lot of free products and I never write about them because, well, I just don’t think it is interesting enough for my readers or I don’t think the products are that good. The company doesn’t want a ‘meh’ review on the internet and I don’t want to write a ‘meh’ review. I only want to rave about stuff that is worth raving about. 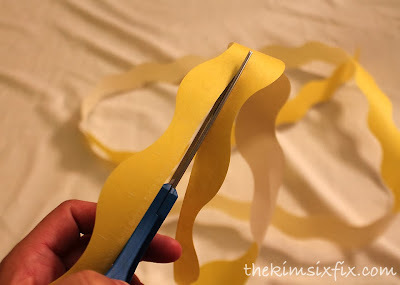 There have been times I have blogged about a product that I loved (Frog Tape!) and that ended up leading to a paid relationship with the brand because they knew I could produce content I truly stand behind. I am proud of every single one of those posts. There is no quality difference between the two that I was paid for and the two that I was not, and that is my goal for ALL my sponsored content. Hopefully I am least coming close to achieving this. My take home message is: If you are one of those readers who skips over any post on my blog that starts with a disclaimer, or resents it every time I have a product placement image, could you at least give the post a chance and see what it is all about before dismissing it? Because although I am writing sponsored content in order to be compensated for my work, I am busting my chops to produce meaningful high quality content so that YOU will actually enjoy it. The truth is that I would get paid not matter what I wrote, (plenty of people write really really bad sponsored posts and just collect the paycheck) but I think you deserve more than that.